Note: Since this page is updated every hour or so remember to hit your reload button on your browser. If you have cached this page, then the browser will display that page instead of the most current one. 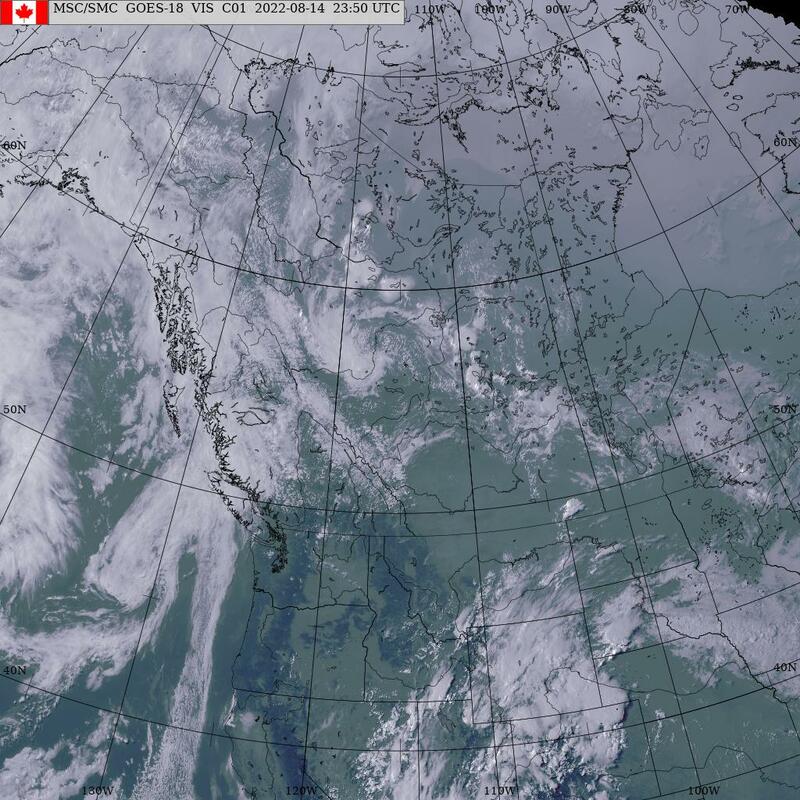 This image is sensitive to cloud temperature and therefore delineates the coldest highest clouds. These are generally cirrus clouds which flow along the jet stream and mark the location of weather fronts. 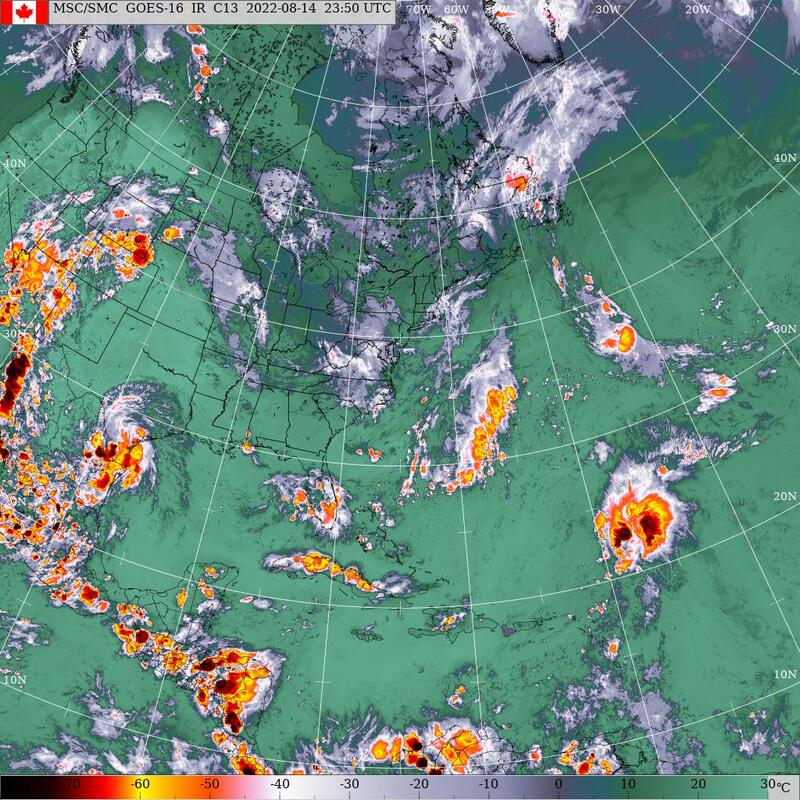 The first image is the latest GOES Infrared View of the Pacific + West Coast. The second images is the GOES Infrared View of the Eastern US. 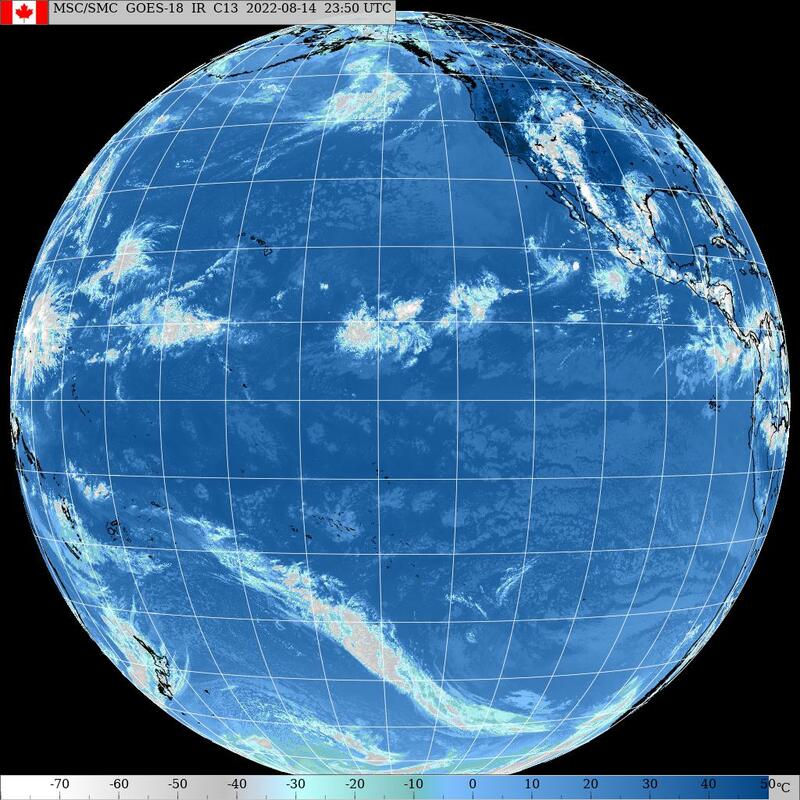 The last image is a visible image view of the west coast + eastern pacific. These images may not always be current. Current surface maps can be found here .